The French national interest for food makes Paris restaurants to one of the biggest reason of rejoicing when visiting the city. Most of the restaurants serve French food, but there are in many districts restaurants that serves Chinese, Vietnamese and north African as well as Italian, Greece, Lebanese and Indian food. Most of the restaurants serves lunch between 12 PM to 14 PM and have a fixed price for the lunch. The people living in Paris usually dines about 20:30 PM and most of the restaurants serves dinner between 19:30 PM to 23:00 PM. The range of food is fantastic in Paris. From the substantial dishes with meat to perfect pâtisserie, which is the most famous french food. The best ethic food comes from the the former colonies Vietnam or North Africa. The North African restaurants is well-known as couscous -restaurants and serves saturated, quite spicy and cheap food. Also the Vietnam restaurants is well worth is price. Where to find great restaurants and cafés? You can eat very tasty food in almost every district of Paris. A rule of thumb is that the best restaurants and cafés are they who mainly turns to the french customers. The districts which is quiet and serene at the nights as the ares around Les Invalides, Eiffel Tower and Palais de Chaillot tends to have less noisy and more serious restaurants. The dinning prices in Paris varies from extremely economical to astronomical. You can still get a substantial restaurant or lunch at a café for €12. 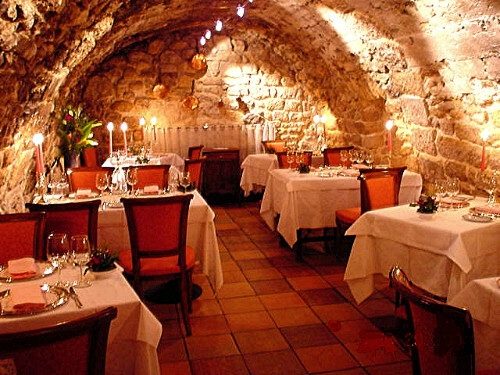 But an average tasty dinner with wine at a bistro, restaurant or brasserie in the central of Paris costs about €30-38. At many places there are menues, prix-fixe (fixed price), especially at lunch which in most cases is well worth is price.